Previous research has shown that the protein histone deacetylase 3, or HDAC3, turns off the genes that encourage the stem cells in our bone marrow to make and store fat instead of making bone. As HDAC3 levels decrease naturally with age, bones become less dense and easily breakable, as seen in the above illustration. Pierce is a winner of a 2017 Young Investigator Award from the American Society for Bone and Mineral Research and presented her research at the group’s annual meeting in Denver, Colorado. Specifically, scientists believe that HDAC3 represses the transcription of the enzyme 11β-hydroxysteroid dehydrogenase type 1, which activates glucocorticoids that, in turn, drive fat production and storage. While glucocorticoids occur naturally in the body, they are also used in various immune-suppressive therapies, many of which list osteoporosis as a side effect, she added. To test their theory that glucocorticoids may also be a key driver in fat storage in our bones, Pierce and McGee-Lawrence, studied mice without receptors for the steroid hormones. To simulate the aging process, the mice were placed on a calorie-restricted diet, which also has been shown to result in lower bone density and increased marrow fat – just like what happens as we age. Extreme caloric restriction, such as with anorexia nervosa, can also lead to weak and brittle bones. “We thought these receptor-deficient animals would not have the same detrimental effects of bone loss and increase in marrow fat because that receptor isn’t present to initiate the lipid storage mechanism that we’ve studied,” McGee-Lawrence said. “If you take away the glucocorticoid signaling, could you prevent that from happening and prove that’s a part of the process? We thought these models would, in fact, inhibit lipid storage and promote increased bone mass,” Pierce said. What they found is that the results were dependent on the setting. When looking at the bone cells in a culture dish, the receptor deficient mice did show 80 percent less lipid storage than regular mouse models of aging. They also showed more bone matrix, which is the foundation for bone formation. But surprisingly, Pierce said, examination of two major bones in the leg, the tibia and femur, in a living animal showed the receptor deficient mice actually had more marrow fat and lower bone mass. 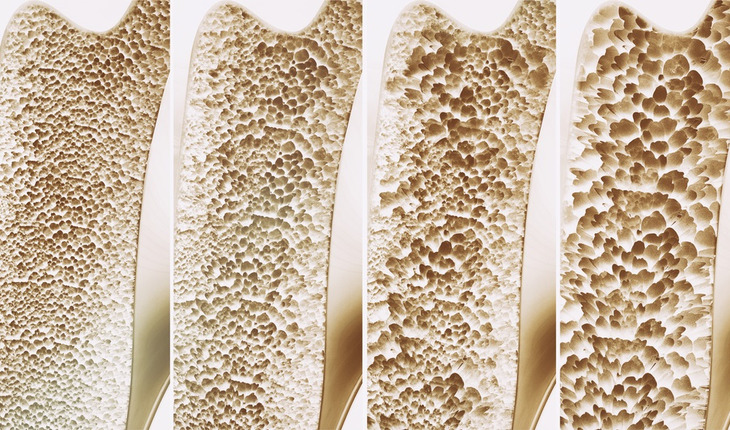 This work could one day give scientists another avenue for therapies the prevent bone loss. Osteoporosis already is a major public health problem affecting about 44 million Americans and costing billions annually. The world’s older population is growing at an unprecedented rate with 8.5 percent of the worldwide population – 617 million people – age 65 and older, a proportion estimated to reach 17 percent by 2050, according to the National Institute on Aging.